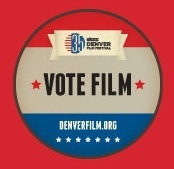 There’s no doubt that The Starz Denver Film Festival is a highlight every single year around here, and this year was no exception. We have a ton of reviews headed your way soon, but I thought I’d post the one interview I had the opportunity to do before we unleash the onslaught of reviews. It’s been about 3 years since Barry and I had the pleasure of talking with George Hardy and Michael Paul Stephenson about Best Worst Movie. We had a blast then and I couldn’t wait to talk to Mr. Stephenson again when The American Scream came out. Fortunately, we were able to meet up and talk about his new film and other upcoming projects. Enjoy! It just seems appropriate to write this review on November 5th, aka Guy Fawkes Day. For the past few years, the Guy Fawkes mask made famous in V For Vendetta has become the signature of hacker group extraodrinare Anonymous. If you look most mainstream media coverage, they are either a bunch of houligans making mischief or dangerous outlaws bordering on a terrorist organization. 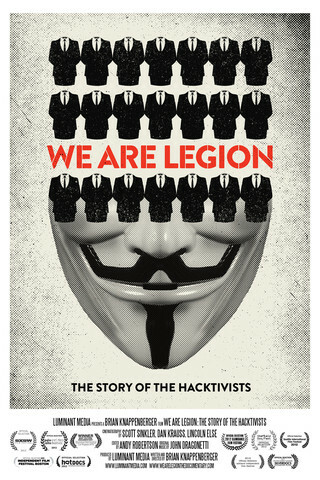 With no clear picture of the group available, We Are Legion: The Story Of the Hacktivists aims to tell the story of this group, and it’s absolutely fascinating.